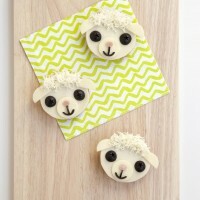 Want to serve up a fun and adorable snack for the kids this Easter? These healthy Easter treats are absolutely adorable and so easy to make. 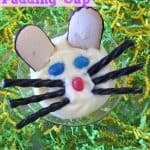 Perfect for an Easter tablescape at the kid’s table or an easy Easter treat for the kids to bring to school! Nothing says Easter quite like an adorable Easter Chick. 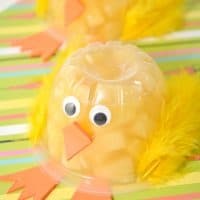 These fruit cups make a great snack plus these Easter treats are so easy to make, you can even let the kids help. With Easter comes a ton of candy so these healthy Easter treats are a great departure from the sugar-overload kids are sure to experience. 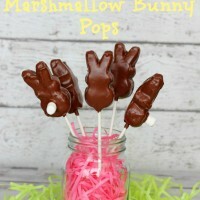 Plus, they are an adorable addition to your Easter tablescape so kids will love the cute treats! 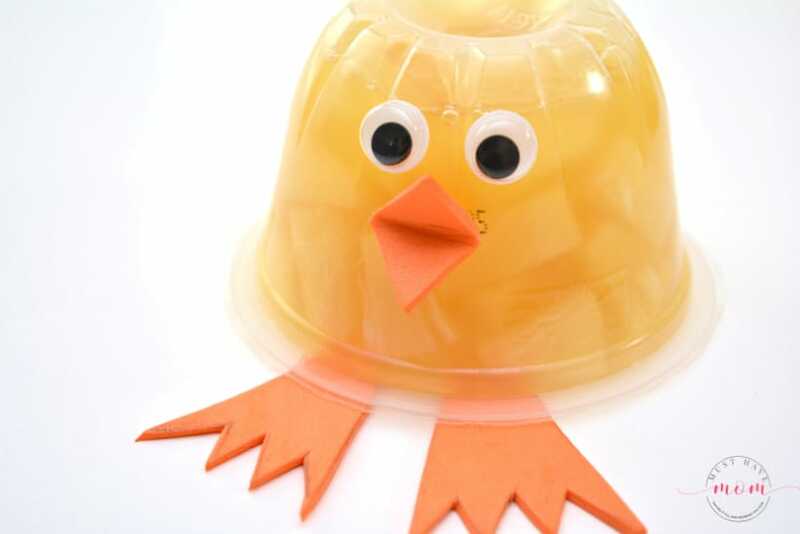 Follow these easy steps to make your own healthy Easter treats chick fruit cup! 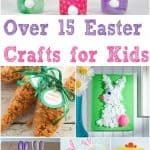 Make a bunch for all the kids at Easter! 1.) 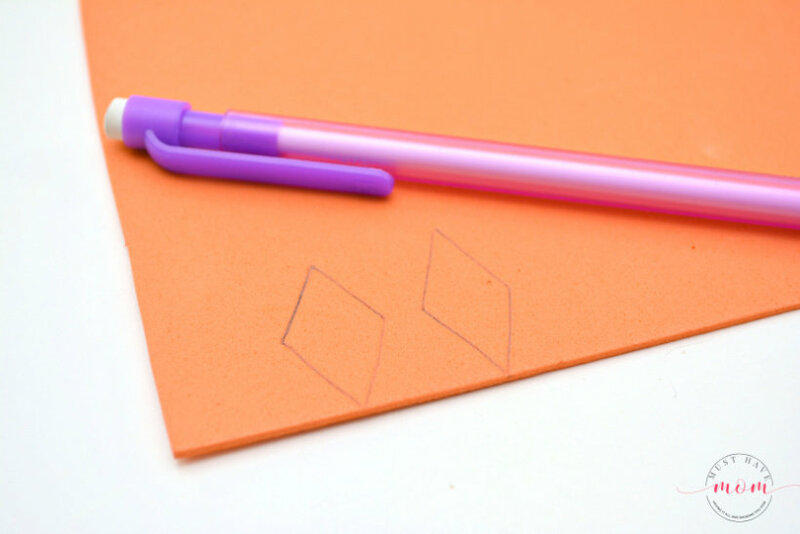 Draw a diamond shape onto a piece of orange craft foam. Cut the diamond shape out of the craft foam. 2.) 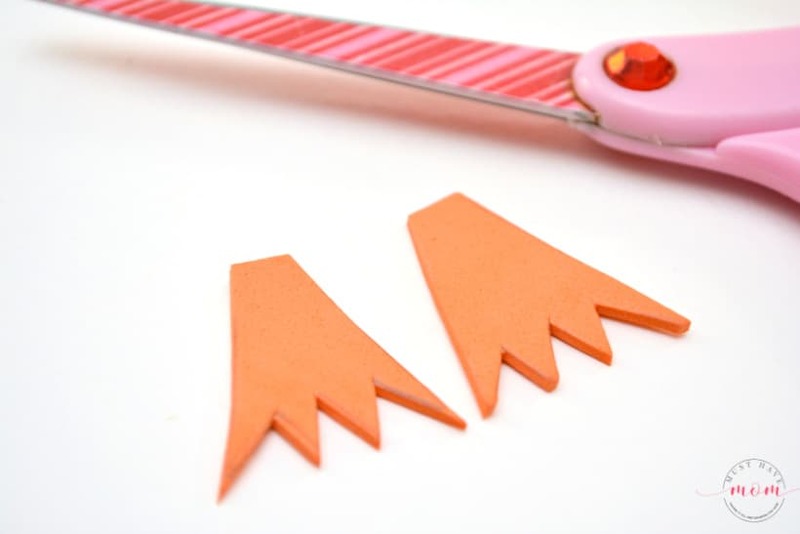 Draw the shape of two chick feet onto a piece of orange craft foam. Leave a bit of blank space at the top of the feet shapes so that there is room to glue them under the fruit cup. You can use the photo for reference on how to create this shape. 3.) Use glue to attach the two feet to the bottom of an upside-down fruit cup. Glue two googly eyes to the front of the upside-down fruit cup. Pinch the orange foam diamond shape that you cut out until it forms a closed beak for your chick. Glue the closed beak to the front of your fruit cup, under the googly eyes. Once glued, the beak will pop back open slightly, but that is okay. 4.) Use glue to attach one yellow feather to either side of the bottom of the fruit cup. That’s all you have to do! 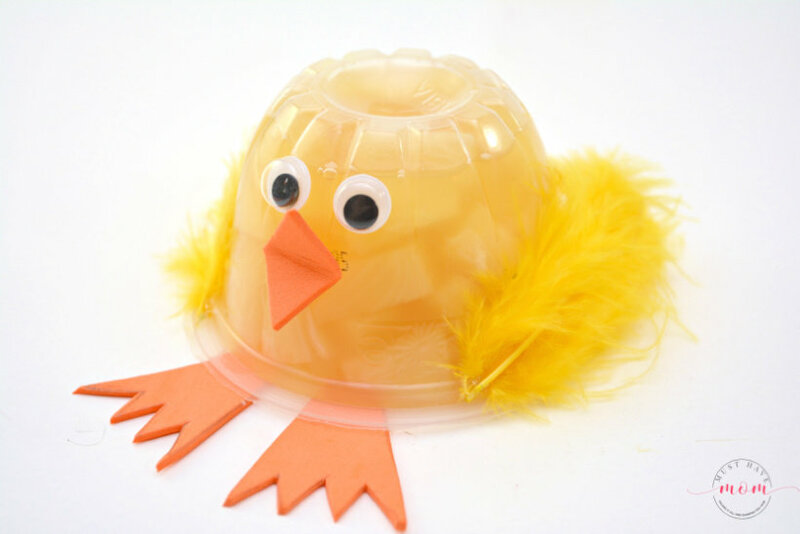 Repeat for each Easter chick fruit cup. These are adorable, healthy and fun! Make them for a kids Easter tablescape or use them as a fun Easter craft activity to keep the kids busy at Easter. No matter what you do with them, eat them when you finish! YUM! 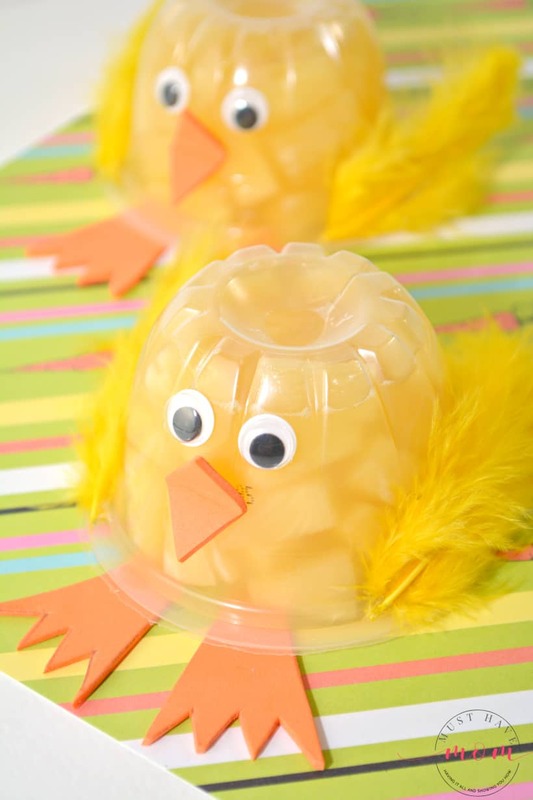 This adorable healthy Easter treats chick fruit cups idea is the perfect way to dress up an Easter or Spring snack. Add to your Easter tablescape to really wow the kids! Draw a diamond shape onto a piece of orange craft foam. Cut the diamond shape out of the craft foam. Draw the shape of two chick feet onto a piece of orange craft foam. Leave a bit of blank space at the top of the feet shapes so that there is room to glue them under the fruit cup. You can use the photo for reference on how to create this shape. Glue two googly eyes to the front of the upside-down fruit cup. Pinch the orange foam diamond shape that you cut out until it forms a closed beak for your chick. Glue the closed beak to the front of your fruit cup, under the googly eyes. Once glued, the beak will pop back open slightly, but that is okay. 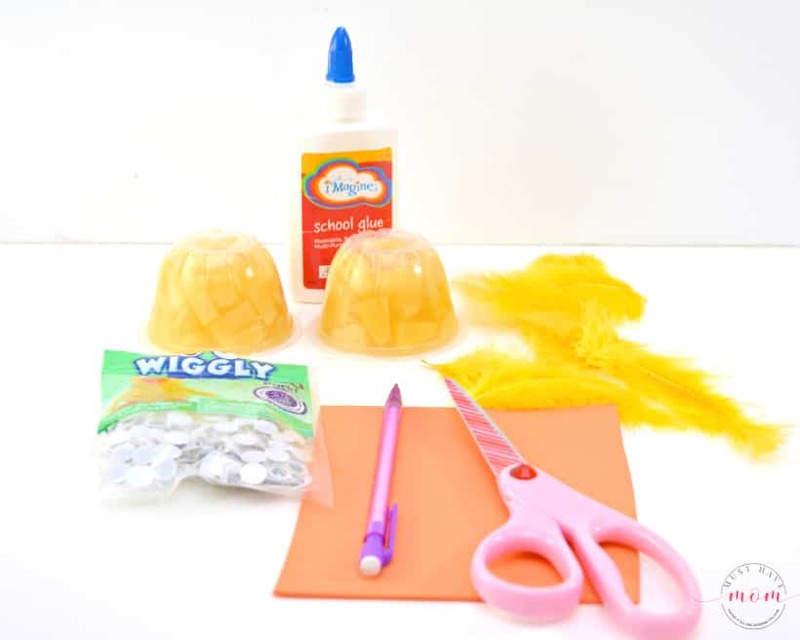 Use glue to attach one yellow feather to either side of the bottom of the fruit cup.